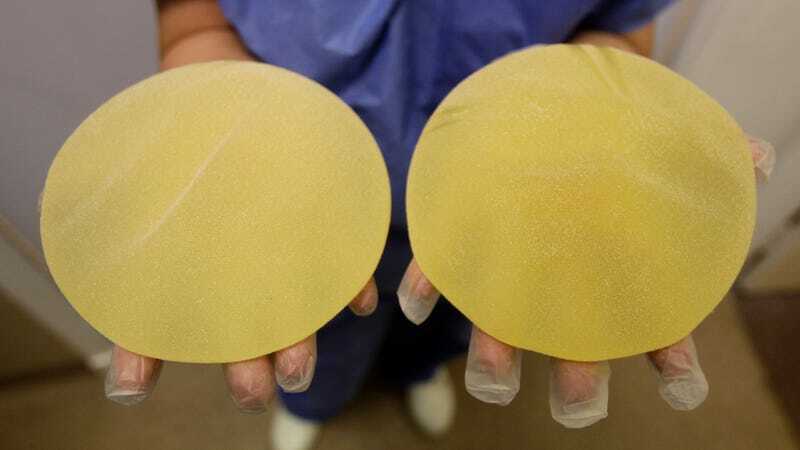 The Food and Drug Administration is beginning to take concerns over the potential health risks of silicone breast implants more seriously, after years of consumer complaints that were either dismissed or downplayed by the agency, doctors, and implant manufacturers. On Tuesday, the agency issued warning letters to two manufacturers of silicone breast implants, Sientra and Mentor Worldwide (part of Johnson & Johnson), over their failure to conduct adequate long-term safety studies of their implants. The previous week, the FDA acknowledged that implanted medical devices, such as breast implants, may potentially have adverse health risks. “Based on our evaluation and discussions with experts elsewhere in the government and academia, we believe the current evidence, although limited, suggests some individuals may be predisposed to develop an immune/inflammatory reaction when exposed to select materials,” the FDA wrote. In 2011, five years after the FDA allowed silicone breast implants back on the market, the agency announced that silicone breast implants have a “reasonable assurance of safety and effectiveness,” based on research conducted by two manufacturers of breast implants, one of which was Mentor. That year, Dr. Jeffrey Shuren, the FDA’s Center for Devices and Radiological Health director at the time, said to the Los Angeles Times, “I don’t know what the critics will ultimately say, but what we can say is the current data doesn’t indicate that silicone gel-filled breast implants are linked to breast cancer, connective tissue disease, or infertility.” But earlier in 2011, the FDA had, as the LA Times wrote, “warned of a possible link between breast implants, both silicone and saline, and the incidence of a rare form of cancer, anaplastic large-cell lymphoma,” but had concluded that the number of cases was too small to show that breast implants caused the cancer. In 2018, the FDA reported that more people with silicone breast implants, especially textured implants, had reported cases of anaplastic large-cell lymphoma to the agency, but did not advise people against receiving them. Later that year, one company halted the sale of its textured breast implants in Europe.